The news or the ‘unconfirmed rumors’ that Ethereum Classic is undergoing chain reorganization and was under double spend attack seems to be coming true. This was first reported by the security firm SlowMist and, over the last couple of hours, the blockchain has undergone several block reorganizations as reported by Ethereum Classic explorer BlockScout. Earlier today, a certain section of the media rolled out news that according to Chinese security firm SlowMist, the Ethereum Classic (ETC) network is prone to a possible 51% attack and advised crypto exchanges with ETC listings to strengthen their guards. This news even led to a sudden drop in Ethereum Classic prices. Although, things were cleared out by the official twitter handle of Ethereum Classic which mentioned that the news floating in media regarding the double spend attack and chain reorganization were rumors and also posted a picture that there was no reorganization being undertaken. The tweet also confirmed that there were no issues with the blockchain. But it seems, since the time Ethereum Classic has cleared the air, the movement of chain reorganization has picked up. There are several blocks over past few hours that are reorganized. Ethereum Classic is yet to confirm officially but the ‘rumored’ attack news seems to be true. 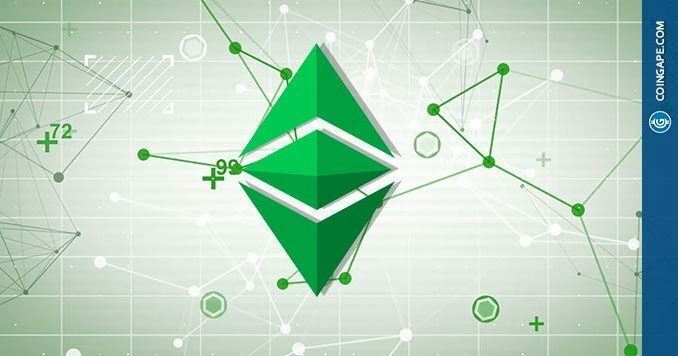 The news is further fuelled by a recent tweet Ethereum Classic has put forward, where it has replied on the attack news and has informed several exchanges and mining pools to allow a significantly higher confirmation time on withdrawals and deposits (+400). While the updates are still flowing, certain Twitter accounts have sent out post regarding the confirmation of the attack. Another Twitter account sent out a tweet indicating “One $ETC Private Pool Claimed over 51% Network Hashrate”. While there is still no confirmation from any of the developers from Ethereum Classic, the collated evidence does show that all is not good at Ethereum Classic. The chain is definitely reorganized and the wait time for confirmation has also risen. The information regarding the associated loss would only be clear once Ethereum Classic makes an official announcement. What are your thoughts on this Ethereum Classic attack? Do let us know your views on the same.